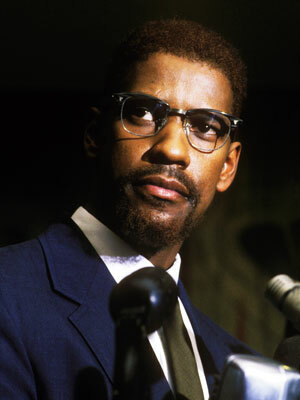 Denzel Washington portrayed Malcolm X in Spike Lee’s 1992 biopic. Sure this may not be the most accurate rendition about his interesting life, but it helps explain why he had the ideas he did. You may love him or hate him but he was much more than an angry black man whose attitude toward whites wasn’t without probable cause because he lived with racism and was greatly harmed by it at a young age. Still, at least this movie averts the idea of a white savior as well as the impression that blacks are incapable of saving themselves which is why I have a picture from the film on this post. Another event going on in the United States during the Post-War era is the Civil Rights Movement which is seen as one of the most important events in modern American history in which African Americans across the nation stood up and pressured the government to bring progress towards racial equality under the law after nearly a century of being treated as second-class citizens with little or no rights in much of the country, especially in the South. These were laws that pertained to segregation, disenfranchisement, a ban on interracial marriage, or a black guy having a good chance of going to jail for checking out a white woman. We’re not sure when the Civil Rights Movement actually began since there have been blacks who’ve challenged the system as well as made gains in society. Yet, the first big event of the Civil Rights Movement was the 1954 Supreme Court case of Brown vs. Board of Education of Topeka in which a group of black parents sued the a Topeka school district so their kids didn’t have to travel miles to attend a crappier school. Thanks to their efforts as well as the NAACP with Thurgood Marshall representing, the Supreme Court struck down the earlier Plessy vs. Ferguson and declared that school segregation was inherently unconstitutional. The NAACP would go on challenge other discrimination laws as well. In 1955, a Montgomery woman named Rosa Parks was arrested refusing to give up her seat to a white person and move to the back of the bus. This led to the Montgomery Bus Boycott led by Rev. Martin Luther King Jr. and local NAACP head E. D. Dixon. It was a long struggle but they prevailed. Soon there were demonstrations across the nation such as the Freedom Riders, Little Rock, the March on Washington, and others. Sure there was a lot of racist resistance, but by the 1970s segregation was mostly over, the Voting Rights Act was passed, and while racism still exists in a lot of forms, it is no longer acceptable as far as the law and society goes. However, Hollywood isn’t always the right reference when it comes to the Civil Rights Movement though they could make a kind of inspirational story, yet they do have the tendency to introduce a white savior, which leads to the notion that blacks were incapable of saving themselves. Still, there are plenty of other inaccuracies seen in films set in this era which I shall list. This entry was posted in Movies and tagged African Americans, history, Humor, politics, United States, WTF?. Bookmark the permalink. Malcolm X was a very interesting guy. I wonder what he would think of race relations today.